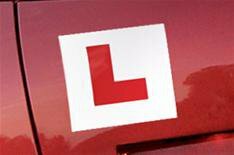 New driving theory test takes effect | What Car? The driving theory test will be a lot tougher from now on, with changes designed to force candidates to apply their knowledge and understanding of driving. The changes came into effect yesterday, and mean the theory test will no longer use pre-published questions. As a result, candidates will need to understand the theory, rather than simply learning the answers, to a set of known questions. Road Safety Minister Mike Penning said: 'By bringing a stop to publication of theory test questions we aim to encourage candidates to prepare by learning each topic area thoroughly rather than just memorising the questions and answers. Despite the changes, Driving Standards Agency (DSA) theory test books and software still offer revision questions for candidates to test themselves and assess their progress. They also have exercises that allow learners to practice applying the theory to various case studies. The DSA has also launched its first iPhone apps to aid theory test revision.